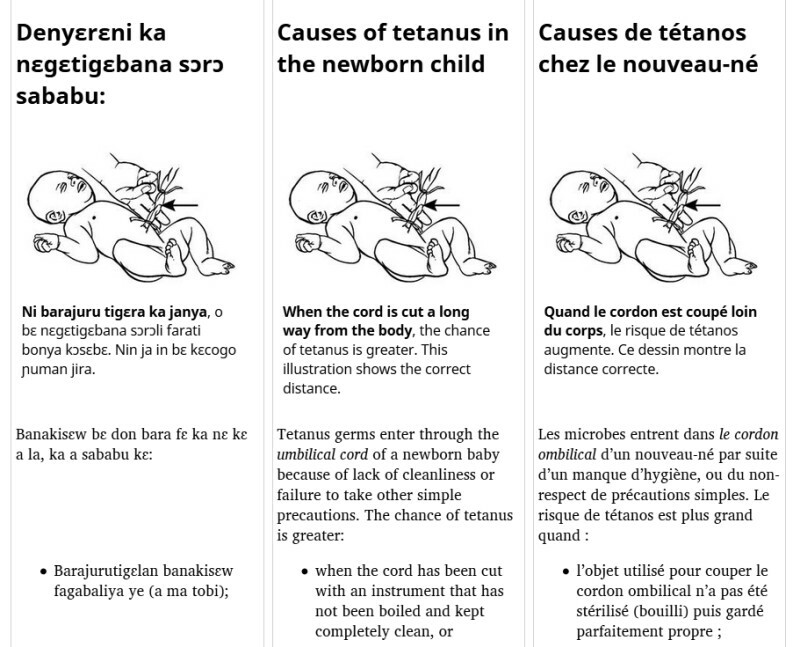 We are continuing to work with our colleauges at Hesperian Health Guides on development of the French-language version of Where There Is No Doctor. Each of the chapters is being edited, proof-read, and then goes to layout. Some of the material had to be extensively rewritten for clarity, and to match the warm and encouraging tone that Hesperian’s books are known for. As we’ve received chapters, we’ve been publishing them to the multilingual version of our site. Our hope is that making this information available side-by-side with its translation will make it even more useful. You can also search in any of the three available languages: English, French, and Bambara.